Last month, the official Selenium blog published a post with bad news regarding the future of Selenium IDE and prepared the world to say its goodbyes. It has been decided that from the version of Firefox 55 and onward, Selenium IDE will stop working and will no longer be maintained. The main reasons for this decision are: due to technological changes occurring under the surface in Firefox’s browser, and due to lack of contributors willing to invest efforts in updating Selenium IDE in accordance with new technologies. There is a common (partially justified) opinion in the test automation industry regarding this tool and other tools that offer recording abilities, and it’s not recommended to build the entire test automation project this way (mainly due to lack of stability and flexibility, and due to constant need for maintenance with such tools). As much as recording tools are infamous among test automation engineers, one cannot dismiss the fact that the recording operation is the quickest and easiest way there is. Think of all the commercial test automation tools in the market – how many of them allow recording? The answer is ALL of them! Are they all wrong in their choice? A lot has changed since 2004 when Selenium IDE was launched to the world. 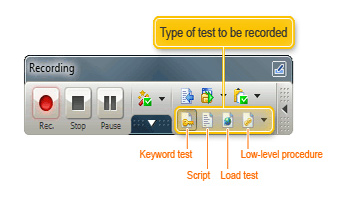 Nowadays, there are smarter recording commercial tools that are able to reuse recording operations, work with parameters, support code and use modern techniques, such as: Data Driven Testing, Page Objects, etc. Selenium IDE has developed miraculously since its first version came out. It uses Firefox browser as a platform on which one can install additional plugins or add-ons (See below examples for Selenium IDE extensions). 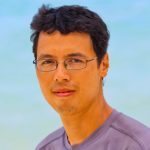 Would I choose Selenium IDE to build a test automation project from scratch? Of course not. However, I would definitely take under consideration the use of Selenium IDE in the following case: when performing a sequel of a few basic repetitive operations (such as: clicks, typing text, taps, etc. ), on a relatively stable application or feature and on simple elements. In addition, it doesn’t have to be a testing operation, it can be an automatic operation for preparing the test environment (for example, installing wizard or filling HTML table fields that will continue serving the tests). The FlexMonkium – the ability to record operations on animation products. The Page Coverage – produces reports of element coverage (nothing compares to this in Selenium WebDriver). The Power Debugger – gives us the option to debug the test case, just like in coding. The ScreenShot on Fail – takes a screenshot automatically in a failed situation. The File Logging – a mechanism that creates different level logs (Debug, Error, Info, Warning). The CSV File Reader – reads parameters from the CSV file (to implement the Data Driven Testing). The Test Results – produces a clear and readable running report. 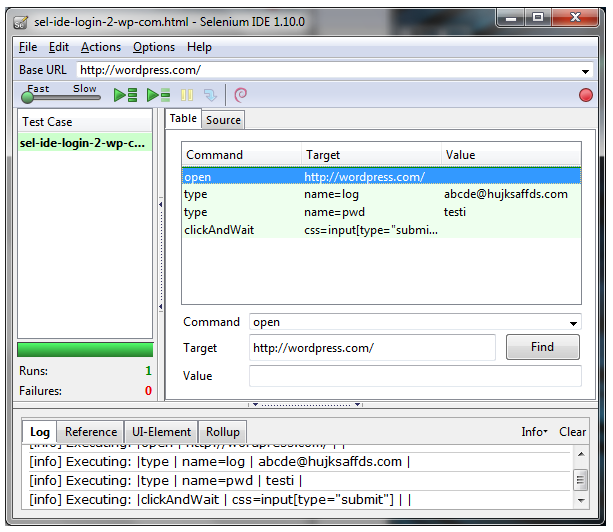 The SeLite – a very recommended assembly of plugins that elaborate even more the capabilities of the Selenium IDE, such as: connection to DB, running a group of different tests, choosing random inputs, etc. In conclusion, if we expect that Selenium IDE will replace our current test automation project – we’ll probably be disappointed, since it’s not intended for that, even though in the last years it has been updated with quite a few effective extensions. In certain cases, it can be used to produce quick results with minimum effort. Therefore, I really hope that someone will take on himself the task to continue and develop Selenium IDE Add-on, also for the benefit of those experiencing a test automation tool for the first time (Not everyone knows how to code right at the beginning 😎 ). Will you try to save Selenium IDE? Do you think it’s a necessary tool?